Yes, it’s almost that time of year again. While it may not feel like it in most parts of Canada, Spring Break is right around the corner! To celebrate the NEW that Spring brings with it, I’ve teamed up with a group of awesome influencers to bring you an easy chance to get some extra money in your pocket. Whether you are hoping for some extra spending money or want to use it for the everyday things like, bills–you can’t win if you don’t enter! Entering is super easy too, all you have to do is comment below and tell me what you’d do with the money. Plus, follow, like and comment on any (or ALL, if you want a better chance at the cash) if the Instagram accounts in the giveaway widget. Make sure you come back everyday to like and comment on more photos for more entries! Even though I can’t enter, it’s always fun to imagine what I would spend the extra money on and maybe I’ll give you some ideas, too. Go on a shopping spree for a new Spring wardrobe. Find a cheap flight and go somewhere. Do some damage at Chapters. Do some damage at Michael’s. Do some damage at Lowe’s. Use it towards a new elliptical machine. Giveaway rules: Use the Rafflecopter form below to enter every day. The mandatory question must be answered to be eligible to win. Giveaway is open worldwide, so feel free to share! 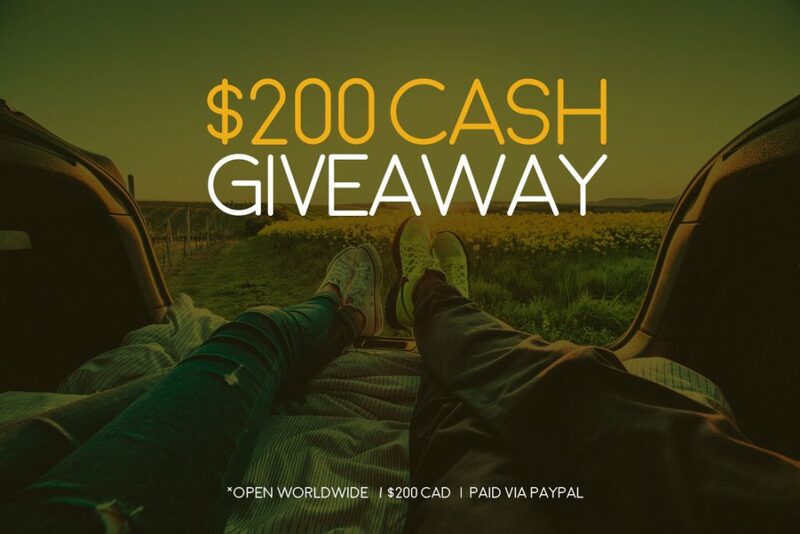 The prize is $200CAD to be transferred to a PayPal account. Ladena from MyFamilyStuff is responsible for awarding the prize. This giveaway is sponsored by all bloggers included in the giveaway widget. The prize is non-transferable. Giveaway runs from Feb 27 – Mar 13, 2017. Void where prohibited. Hope to see you here every day because that means you are getting those extra entries in! I would love to use it for some new bedding. It would go towards replacing my hubby’s computer that I damaged. I would use it for a mini vacay. I have a couple websites to renew and I have an album to release. It would go places. I would spend the money on essential pils and a diffuser.I have always loved these oils for health benefits for my family but I don’t have many and am still learning about all the benefits.Thanks so much for this giveaway and a chance to win!! I would use it for crafty things. I would love to buy some more decor for our wedding.